Bee, E, Crosta, G, Frattini, P, Fernandez-Merodo, J A, Harrison, A, Knight, D, Leoni, G, Margottini, C, Mateos, R M, Novellino, A, Spizzichinio, D, and Themistocleous, K. 2018. Protection of European Cultural heritage from Geohazards. The Ever Growing Use of Copernicus across Europe’s regions (pp266 - 267 ). Novellino, A, Harrison, A, Bee, E, Wang, L, Hobbs, P, Margottini, C, Themistocleous, K,Crosta, G, and Fernandez-Merodo, J A. 2018. Characterising and modelling geohazard susceptibility in the UNESCO World Heritage Site of the Derwent Valley Mills (UK). Presentation at European Geosciences Union 2018. Themistocleus, K, Michaelides S, and Hadjimitsis, D. 2018. The integrated use of space technologies, UAVs and Field measurements intended for cultural heritage in Cyprus. European Geosciences Union 2018 (abstract). Valagussa, A. Frattini, P, Themistocleous, K, Crosta, G B, Margottini, C, Spizzichino, D, Bee, E, and Merodo, J A. 2018. 3D rockfall modelling in the Choirokoitia UNESCO World Heritage site. European Geosciences Union 2018 (abstract). Carta, C, Cimino, M G, Leoni, G, Marcelli, M, Margottini, C, and Spizzichino, D. 2017. SAR interferometry monitoring along the ancient Rome city walls: the PROTHEGO project case study. (Poster.) EGU Assembly 2017, Vienna, 23–28 April 2017. Geophysical Research Abstracts, vol 19, EGU2017 — 13462-1. Constantini, M, Francioni, E, Trillo, F, Minati, F, Margottini, C, Spizzichino, D, Trigila, A, and Iandanza, C. 2017. PSP SAR interferometry monitoring of ground and structure deformations applied to archaeological sites. (Oral presentation.) European Geosciences Union 2017. Geophysical Research Abstracts, vol 19, EGU2017 — 19501. Valagussa, A, Frattini, P, Berta, N, Spizzichino, D, Leoni, G, Margottini, C, and Crosta, G B. 2017. Multi-criteria analysis for the detection of the most critical UNESCO World Heritage List (WHL) sites across Europe. (Poster.) EGU Assembly 2017, Vienna, 23–28 April 2017. Geophysical Research Abstracts, vol 19, EGU2017 — 17107. Margottini C, Spizzichino D, Leoni G, Bee E J, Crosta G B, Frattini P, Themistocleous, K, and Fernandez Merodo, J A. 2018. Satellite monitoring applied to natural hazards and cultural heritage: The PROTHEGO project. Sixth International Conference on Remote Sensing and Geo-information of Environment, 26&nbdash;29 March 2018, Paphos, Cyprus. Novellino, A, Harrison, A, Bee, E, Wang, L, Hobbs, P, Margottini, C, Themistocleous,K, Crosta, G, and Fernandez-Merodo J A. 2018. Characterising and modelling geohazard susceptibility in the UNESCO World Heritage Site of the Derwent Valley Mills (UK). Presentation at European Geosciences Union 2018. Silvestrou, A, and Themistocleous, K. 2018. Multi-criteria analysis of UNESCO sites in Cyprus: the case study of Choirokoitia. Sixth International Conference on Remote Sensing and Geo-information of Environment, 26–29 March 2018, Paphos, Cyprus. Spizzichino, D. 2018. Geo-hazards and UNESCO WH sites, from satellite monitoring to local scale conservation policies and management: the PROTHEGO approach. International Conference Safeguarding Cultural Heritage from Natural and Man-made Disasters, Danube University, Krems, Austria, 23 January 2018. Spizzichino, D (ISPRA). 2018. Presented PROTHEGO at the Conference on the Methodology for the Conservation and Strengthening of the Rock-cut Churches and the Drainage System for the Monastic Complex of Geghard, Yerevan, Armenia, 13–16 February 2018. Spizzichino, D (ISPRA). 2018. Presented PROTHEGO at the EO4GEO kick off meeting, Milan, 16–17 January 2018. Spizzichino, D, and Bee, E J. 2018. Represented PROTHEGO at the European Civil Protection Forum 2018, Brussels, 6 March 2018. Themistocleous, K. 2018. Local monitoring techniques for cultural heritage sites affected by geo-hazards. Sixth International Conference on Remote Sensing and Geo-information of Environment, 26–29 March 2018, Paphos, Cyprus. Themistocleous K, Crosta G B, Frattini P, and Valagussa, A. 2018. Best practices for monitoring, mitigation and preservation of cultural heritage sites affected By geo-hazards: the results of the PROTHEGO project. Sixth International Conference on Remote Sensing and Geo-information of Environment, 26–29 March 2018, Paphos, Cyprus. Themistocleous, K, Hadjimitsis, D, Michaelides, S, Spizzichino, D, Crosta, G, Fernandez, J, and Bee, E. 2017. Best practices for monitoring, mitigation and preservation of cultural heritage sites affected by geo-hazards. Poster at European Geosciences Union 2018. Valagussa, A. Frattini, P, Themistocleous, K, Crosta, G B, Margottini, C, Spizzichino, D, Bee, E, and Merodo, J A. 2018. 3D rockfall modelling in the Choirokoitia UNESCO World Heritage site. Poster presentation at European Geosciences Union 2018. Cigna, F, Margottini, C, Spizzichino, D, Crosta, G B, Frattini, P, Themistocleous, K, and Fernandez Merodo, J A. 2017. Assessing geohazards in areas of cultural heritage in Europe using satellite InSAR: the JPI-CH project PROTHEGO. ESA Fringe 2017 Workshop, Helsinki, Finland, 5–9 June 2017. Fernández Merodo, J. Presentation about PROTHEGO. Safety workshop 'Sentinel for Geohazard Prevention and Forecasting', 29 November 2017, Madrid, Spain. Fernández Merodo, J. Presentation about PROTHEGO. Safety workshop 'The Management of Geological Hazards in the Canary Islands, in the Field of Civil Protection', Tenerife, 12–13 December 2017. Iadanza, C, Leoni, G, Margottini, C, Spizzichino, D, and Trigila, A. 2017. The updated scenario in Europe of landslide susceptibility vs UNESCO cultural heritage: the PROTHEGO project. Fourth World landslides Forum '17, 29 May 2 June 2017, Ljubljana, Slovenia. Mateos Ruiz, R M. 2017. El proyecto PROTHEGO: patrimonio UNESCO y riesgos geológicos (in Spanish). Gestión de Riesgos y Emergencias en Arquitectura Defensiva de Tierra, 26 April 2017, Granada, Spain. Merodo, J. 2017. Earth observation applications for cultural heritage: the PROTHEGO project. Safety workshop 'Sentinel for Geohazard Prevention and Forecasting', 29 November 2017, Madrid, Spain. Spizzichino, D. 2017. The updated scenario in Europe of landslide susceptibility vs UNESCO cultural heritage: the PROTHEGO project. COST Association workshop: Cultural heritage in the digital era, 25 April 2017, Brussels, Belgium. Spizzichino, D. 2017. 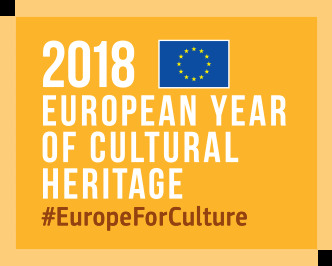 PROTection of European Cultural HEritage from GeO-hazards. Satellite techniques for risk monitoring and for conservation policies. Copernicus for Cultural Heritage Workshop, 24 April 2017, Brussels, Belgium. Spizzichino, D. 2017. Participated at the EuroGeoSurvey's (EGS) Earth Observation Expert Group (EOEG) meeting. Specific session on 'Geological validation of INSAR carried out by ISPRA (PROTHEGO)', 12–14 November 2017, Madrid, Spain. Spizzichino, D (ISPRA). 2017. Presented PROTHEGO at the 2017 Regular International Consortium on Landslide (ICL) — International Programme on Landslides (IPL) meeting at UNESCO, 29 November – 1 December 2017, Paris, France. Spizzichino, D, Margottini, C, Brustia, E, Cigna, F, Comerci, V, Dessì, B, Guerrieri, L, Iadanza, C, Leoni, G, Tapete, D, Trigila, A, and Vittori, E. 2017. Satellite monitoring applied to natural hazards and cultural heritage: the PROTHEGO project. 11° Workshop Tematico di Telerilevamento — Osservazione della Terra: Georisorse, Risorse Produttive, Geopolitica, Calamità Naturali e Beni Culturali, ENEA & Associazione Italiana di Telerilevamento (AIT), 27–28 June 2017, Bologna, Italy. Themistocleous, K. Presentation at EUROMED2017. 01 December 2017, Volos, Greece. Themistocleous, K. The use of UAVs to monitor archeological sites: the case study of Choirokoitia within the PROTHEGO project. Fifth International Conference on Remote Sensing and Geo-information of Environment, 20–23 March, 2017, Paphos, Cyprus. Themistocleous, K, Danezis, C, and Mendonidis, E. 2017. Best practices for monitoring, mitigation and preservation of cultural heritage sites affected By geo-hazards (in Greek). Euromed 2017 conference, 1–3 December 2017, Volos, Greece. Cigna, F. 2016. Mapping geohazards affecting UNESCO World Heritage sites in the UK using satellite InSAR data: the JPI-CH project PROTHEGO. The Second Huangshan Dialogue on UNESCO sites and sustainable development, 11–15 September 2016, Huangshan, China (invited). Cigna, F. 2016. Sensing patterns of environmental change, geohazards and anthropogenic damage to cultural heritage with space-borne radar imagery. From Stone Age to Space Age: discussing common grounds in archaeology & astronomy, 24–26 February 2016, Leiden, the Netherlands (invited keynote). Cigna, F, Harrison, A, Tapete, D, and Lee, K. 2016. Understanding geohazards in the UNESCO WHL site of the Derwent Valley Mills (UK) using geological and remote sensing data. Fourth International Conference on Remote Sensing and Geoinformation of Environment, RSCy2016, 4–8 April 2016, Paphos, Cyprus. Cigna, F, Margottini, C, Spizzichino, D, Crosta, G B, Frattini, P, Themistocleous, K, and Fernández Merodo, J A. 2016. Protection of UNESCO Cultural Heritages in Europe from Geohazards: the PROTHEGO project. VIII Convegno Associazione Italiana di Telerilevamento (AIT), Sessione Plenaria: Nuove tecnologie e applicazioni del telerilevamento, 22–24 June 2016, Palermo, Italy (invited keynote). Cigna, F, Margottini, C, Spizzichino, D, Crosta, G B, Frattini, P, Themistocleous, K, and Fernández Merodo, J A. 2016. PROTHEGO: a harmonised approach to assess geohazards in areas of cultural heritage in Europe using remote sensing technologies. SPIE Remote Sensing 2016, conference 10003: active and passive microwave remote sensing for environmental monitoring, 26–29 September 2016, Edinburgh, UK. Cigna, F, and Tapete, D. 2016. Property-scale assessment of urban geohazards in the UNESCO WHL sites of Greater London (UK) using geological data and satellite remote sensing. SPIE Remote Sensing 2016, Conference 10003: Active and Passive Microwave Remote Sensing for Environmental Monitoring, 26–29 September 2016, Edinburgh, UK. Cigna, F, Tapete, D, and Lee, K. 2016. Geohazards affecting UNESCO WHL sites in the UK observed from geological data and satellite InSAR. Fourth International Conference on Remote Sensing and Geoinformation of Environment, RSCy2016, 4–8 April 2016, Paphos, Cyprus. Cigna, F, Tapete, D, and Lee, K. 2016. Mapping geohazards affecting UNESCO World Heritage List sites of the UK by exploiting satellite InSAR ground motion data. ESA Living Planet Symposium, 9–13 May 2016, Prague, Czech Republic. Margottini, C, Spizzichino, D, Brustia, E, Comerci, V, Dessí, B, Guerrieri, L, Iadanza, C, Leoni, G, Trigila, A, and Vittori, E. 2016. The updated scenario in Europe of natural hazards vs UNESCO cultural heritage: the PROTHEGO approach. 88° Congresso della Societá Geologica Italiana, 7–9 September 2016, Naples, Italy. Margottini, C, Spizzichino, D, Cigna, F, Crosta, G B, Frattini, P, Themistocleous, K, and Fernández Merodo, J A. 2016. European UNESCO cultural heritage and geo–hazards: the PROTHEGO project. Fourth International Conference on Remote Sensing and Geoinformation of Environment, RSCy2016, 4–8 April 2016, Paphos, Cyprus. Margottini, C, Spizzichino, D, Cigna, F, Crosta, G B, Frattini, P, Themistocleous, K, and Fernández Merodo, J A. 2016. Geo-hazard assessment, remote sensing and European Cultural Heritage: the PROTHEGO project. 35th International Geological Congress (IGC), 27 August – 4 September 2016, Cape Town, South Africa. Margottini, C, Spizzichino, D, Cigna, F, Crosta, G B, Frattini, P, Themistocleous, K, and Fernández Merodo, J A. 2016. 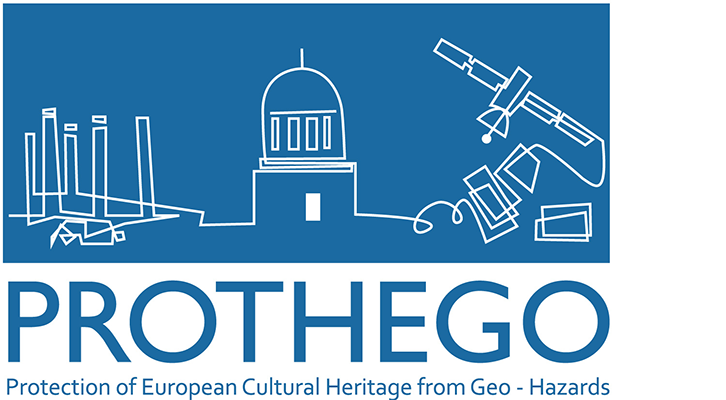 Protection of European Cultural Heritage from Geo–hazards: the PROTHEGO project. EGU General Assembly 2016, 17–22 April 2016, Vienna, Austria. Geophysical Research Abstracts, Vol. 18, EGU2016-12571. Spizzichino, D. 2016.La difesa del Patrimonio Culturale dai rischi naturali – il progetto PROTHEGO. Forum Technology for All, Sessione: Beni culturali e Smart City - Difendere il patrimonio dell'umanitá, 4–6 October 2016, Rome, Italy. Spizzichino, D, Margottini, C, Brustia, E, Comerci, V, Dessí, B, Guerrieri, L, Iadanza, C, Trigila, A, and Vittori E. 2016. European UNESCO cultural heritage and geo-hazards: the PROTHEGO project. Fourth International Conference on Remote Sensing and Geoinformation of Environment, RSCy2016, 4–8 April 2016, Paphos, Cyprus. Spizzichino, D, Margottini, C, Brustia, E, Comerci, V, Dessí, B, Guerrieri, L, Iadanza, C, Trigila, A, and Vittori E. 2016. UNESCO Cultural heritage Vs. Natural hazards at European scale. The PROTHEGO project. 35th International Geological Congress (IGC), 27 August – 4 September 2016, Cape Town, South Africa. Themistocleous, K, Agapiou, A, Cuca, B, Danezis, C, Cigna, F, Margottini, C, and Spizzichino, D. 2016. Methodology for locale-scale monitoring for the PROTHEGO project: the Choirokoitia case study. SPIE Remote Sensing 2016, Conference 10005: Earth Resources and Environmental Remote Sensing/GIS Applications, 26–29 September 2016, Edinburgh, UK. Themistocleous, K, Cuca, B, Agapiou, A, Lysandrou, V, Tzouvaras, M, Hadjimitsis, D G, Kyriakides, F, Kouhartsiouk, D, Margottini, C, Spizzichino, D, Cigna, F, Crosta, G, Frattini, P, and Fernandez Merodo, J A. 2016. The Protection of Cultural Heritage Sites from Geo-Hazards: the PROTHEGO project. International Conference on Digital Heritage – EUROMED 2016, 31 October – 5 November 2016, Nicosia, Cyprus. Themistocleous, K, Cuca, B, Agapiou, A, Lysandrou, V, Tzouvaras, M, Michaelides S, Hadjimitsis, D G, Margottini, C, Cigna, F, Crosta, G, and Fernández Merodo, J A. 2016. The Protection of Cultural Heritage Sites from Geo-Hazards. EGU General Assembly 2016, 17–22 April 2016, Vienna, Austria. Geophysical Research Abstracts, Vol 18, EGU2016-9360. Margottini, C, Spizzichino, D, Cigna, F, Crosta, G B, Frattini, P, Themistocleous, K, and Ferníndez Merodo, J A. 2015. Remote Sensing and UNESCO European Heritage sites affected by geo-hazard: PROTHEGO project proposal. ESA Workshop 'Advances in Remote Sensing for Cultural Heritage: from site detection, to documentation and risk monitoring', 12–13 November 2015, Frascati, Italy. Spizzichino, D, and Iadanza, C. 2015. Monitoraggio del Patrimonio Culturale, dal dato satellitare ai sistemi in situ: la metodologia del progetto PROTHEGO. Workshop Beni Culturali e Spazio: Tecnologie Applicative e servizi AeroSpaziali a supporto del Patrimonio Culturale, 15 September 2015, Rome, Italy. JPI-CH 'PROTHEGO: recent dissemination activities', Newsletter, Issue 3, August 2016. De Morgen 'Satellieten moeten zinkend werelderfgoed redden' (in Dutch), interview to Dr F Cigna (NERC/BGS), 7 May 2016. De Erfgoedstem 'Ruimte radar zal Europees erfgoed monitoren’ (in Dutch), 7 May 2016. Postimees-Tehnika 'Kosmosest hakatakse jälgima ka ajaloolisi vaatamisväärsusi' (in Estonian), 6 May 2016. HIRADO.HU 'M&udblac;holdradaros technológia segíti Európa történelmi helyszíneinek védelmét’ (in Hungarian), 6 May 2016. In.Cyprus 'Choirokoitia site tracked from space', 6 May 2016. DVMWHS 'PROTHEGO uses Space Radar to assess Europe's heritage sites', 6 May 2016. Amos J. 'Space radar to assess Europe's historic sites', interview to Dr F Cigna (NERC/BGS), BBC News, Science, Science & environment, 5 May 2016. Ingegneria Ambientale e Marittima 'Grazie alla tecnica dell'interferometria satellitare, il progetto PROTHEGO consentirá di monitorare con elevata precisione la deformazione del suolo dei siti UNESCO in Europa' (in Italian), 12 December 2015. Il Meteo 'Nasce Prothego, un atlante dei rischi per gli oltre 400 siti Unesco europei' (in Italian), 4 December 2015. DailyGreen 'Unesco, quasi pronto l'Atlante dei Siti' (in Italian), 4 December 2015. 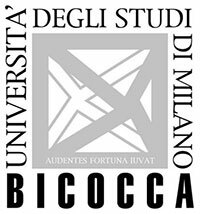 Focus 'Nasce Prothego, un atlante dei rischi per gli oltre 400 siti Unesco europei' (in Italian), 4 December 2015. Ambient&Ambienti 'Beni culturali sorvegliati dai satelliti' (in Italian), 4 December 2015. ANSA 'Oltre 400 siti Unesco in Europa sotto l'occhio vigile dei satelliti. L'Ispra e il progetto europeo PROTHEGO' (in Italian), 4 December 2015. ISPRA Press Office 'UE: oltre 400 siti UNESCO sotto l'occhio vigile dei satelliti - ISPRA e il progetto europeo PROTHEGO' (in Italian), 4 December 2015. ISCR 'Prothego: un progetto europeo per il monitoraggio satellitare dei BBCC a rischio' (in Italian), 3 December 2015. Famagusta Gazette 'CUT's research project receives EU funding', 20 September 2015. Alithia Newspaper 'Πρόγραμμα για προστασία έργων πολιτιστικής κληρονομιάς' (in Greek), 19 September 2015. Palo News 'Προστασία χώρων πολιτιστικής κληρονομιάς από γεωλογικούς κινδύνους μέσω επιτυχίας του ΤΕΠΑΚ' (in Greek), 18 September 2015. Paidea News ‘Προστασία χώρων πολιτιστικής κληρονομιάς από γεωλογικούς κινδύ νους μέσω επιτυχίας του ΤΕΠΑΚ’ (in Greek), 18 September 2015. CUT ‘Προστασία Χώρων Παγκόσμιας Πολιτιστικής Κληρονομιάς (UNESCO) από γεωλογικούς κινδύνους μέσω νέας ερευνητικής επιτυχίας του ΤΕΠΑΚ: Πρόγραμμα PROTHEGO’ (in Greek), 18 September 2015. Φωνή Λεμεσός ‘Προστασία Χώρων της UNESCO μέσω νέας ερευνητικής επιτυχίας του ΤΕΠΑΚ’ (in Greek), 18 September 2015. OnlycyTeam/AP ‘Προστασί α Χώρων της UNESCO μέσω νέας ερευνητικής επιτυχίας του ΤΕΠΑΚ’ (in Greek), 18 September 2015. SigmaLive Beta ‘Cyprus Technological Uni gets funds for UNESCO site research’, 18 September 2015. ETEK (Cyprus Scientific and Technical Chamber) ‘Προστασία Χώρων της UNESCO μέσω νέας ερευνητικής επιτυχίας του ΤΕΠΑΚ’ (in Greek), Issue 192, September 2015, p22. Heritage Portal ‘16 Research Projects Selected for JPICH Heritage Plus funding’ 11 April 2015.